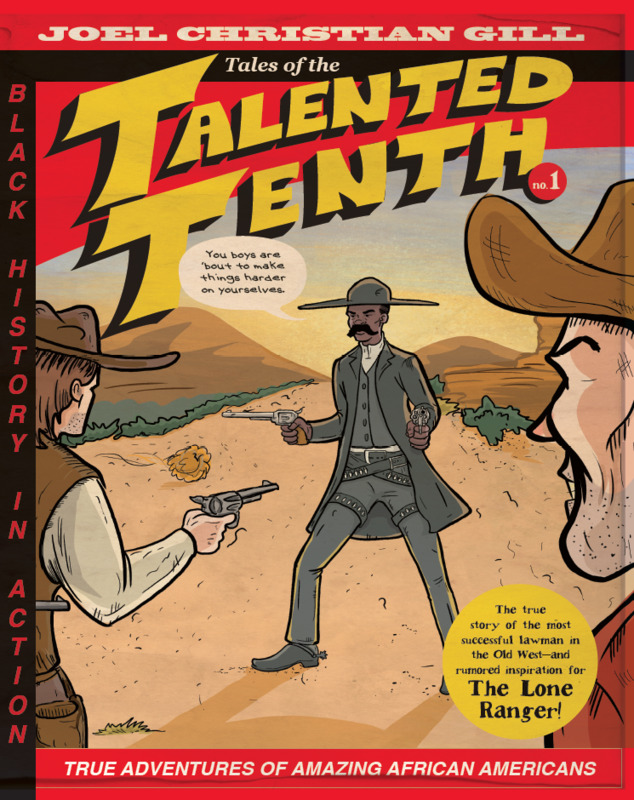 Tales of the Talented Tenth, Volume One tells the story of Bass Reeves, an escaped slave who became one of the most successful lawman of the old west. Volume I chronicles his life from winnign shooting matches in early childhood to traveling with his master, living with Native Americans in Indian Territory, and finally becoming a U.S. Marshal. Bass Reeves lived a life of adventure - he was said to be so tough, he could "spit on a brick and bust it." Because there are so many stories about his life and work, we often need to dig a little deeper to know what is true and what is not. One question that keeps coming up is - Was the Lone Ranger based on Bass Reeves? Conduct an investigation to prove or disprove if the Lone Ranger was really inspired by Bass Reeves or was the Lone Ranger just a character developed by another author? Use three different websites to prove your theory. Some sites, such as sites sponsored by a college or university (.edu), are written to share factual information, and usually provide references for all factual information. Others, such as wikis (wikipedia.org), are considered collaborative - this means that users can edit the information or structure of a page... these aren't as likely to provide accurate information. During his life, Bass Reeves faced countless challenges. One of the worst, which haunted him at every stage of his life, was racism. In Bass Reeves: Tales of the Talented Tenth, the author has chosen to highlight the racism with symbolic images that are called "rebuses." You can see a rebus in some of the speech bubbles, in which a small face is inserted in the text to substitute for the hostile names Bass would have been called. Another rebus is the use of a large black crow - Jim Crow - to represent the racist people that Bass encountered. Many cultures, across many thousands of years, have used rebuses to share information, from the ancient Egyptians through the ancient Chinese, and even in medieval Europe. To see how you can decipher rebuses, check out this site featuring early American letters. With a friend, or on your own, try to figure out what each rebus represents. Now think of a rebus that can represent something in your life. One way to think about this - the EMOJI! Many times, we use EMOJIs to represent words, ideas, or expressions when we text or write. Insert it into a comic strip or a story or a report you can share with someone else. Ask the reader if he or she knows what the rebus represents, and whether it's a more powerful way to share the idea than the written word itself. More than 200,000 African American servicemen fought in the Civil War. Following the war, many went on to fight with one of the all-African-American infantry and cavalry units. Native American people called these black soldiers "Buffalo Soldiers," perhaps because of their endurance (like a buffalo moving across the prairie), or because of the texture of their hair, or even because of the thick fur coats they wore during the brutal winter months. During the first years of Reconstruction, the African American people faced considerable racial discrimination and prejudice, but it wasn't built into actual laws until around 1877. Then, state-by-state, laws were gradually passed that directly eroded African American rights previously promised and implemented. However, in the Territories (lands that were not yet states), African Americans were able to enjoy greater freedom and rights. For example, Judge Isaac Parker not only hired Bass Reeves but also approximately 40 African American deputy U.S. Marshals during his 20 years on the bench. Unfortunately, when Oklahoma became a state in 1907 some of the first legislation passed was the discriminatory Jim Crow laws. It's very possible that Bass Reeves never would have had the success he did if he had to work under the restrictive state laws. Today, the same dynamic between rights under state law versus federal law is at play. Choose one of the following topics, and see if you can figure out if your state's laws match or differ from the federal law. "Buffalo Soldier" is a reggae song written by Bob Marley and Noel G. "King Sport" Williams from Marley's final recording sessions in 1980. It did not appear on record until the 1983 posthumous release of Confrontation, when it became one of Marley's best-known songs. The title and lyrics refer to the African American men who served in the American army. Learn more about the statue built to honor U.S. Deputy Marshal Bass Reeves in Fort Smith Arkansas, near the Arkansas River.